FOLK BANDS Old Hannah and The Mariannes, both of whom draw on Irish folk, roots, and Americana, pla a double headline show at Monroe’s Live on Thursday August 6 at 9pm. 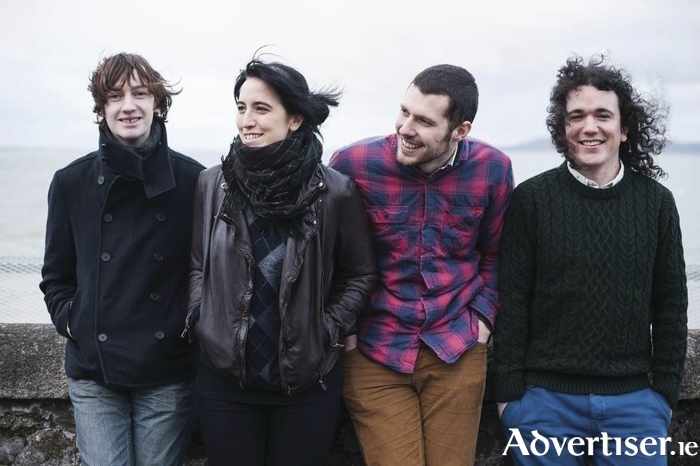 Sligo's Old Hannah - Anthony Mannion (dobro/guitar/vocals ), Lucie Crichlow (guitar/vocals ), Luke Mercer (guitar/vocals ), and Leo Morris (banjo/guitar/vocals ) - are firmly rooted in old time sounds, bluegrass, western swing, country, and three-part vocal harmonies. They recently released their EP, Iron and Wood, the follow-up to their debut EP Irish Boys, which features The Waterboys' Steve Wickham.